New Volvo V60 – Versatility with Desirability. The new Volvo V60 is a versatile family estate car that helps you make the most of every moment. 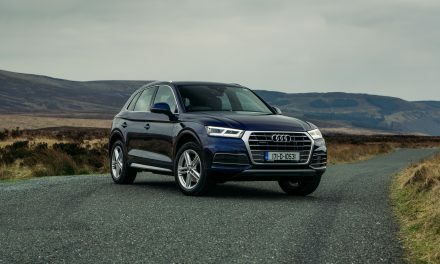 An advanced chassis, powerful engines and a choice of driving modes put the driver at the centre of an engaging driving experience. Inside, Scandinavian craftsmanship combines with smart technology to create a place where enjoyable time will be spent. Inside and out, the new V60 exhibits the quality and sense of purpose that define the best Scandinavian design. For more than 60 years Volvo have been driven by a vision to create estate cars that enrich people’s lives. The new Volvo V60 is Volvo’s vision made real. Few car manufacturers can match Volvo Cars’ history and credibility in making well-designed, practical and versatile estate cars. The new V60, one of the safest cars ever made, is fully loaded with new technology. 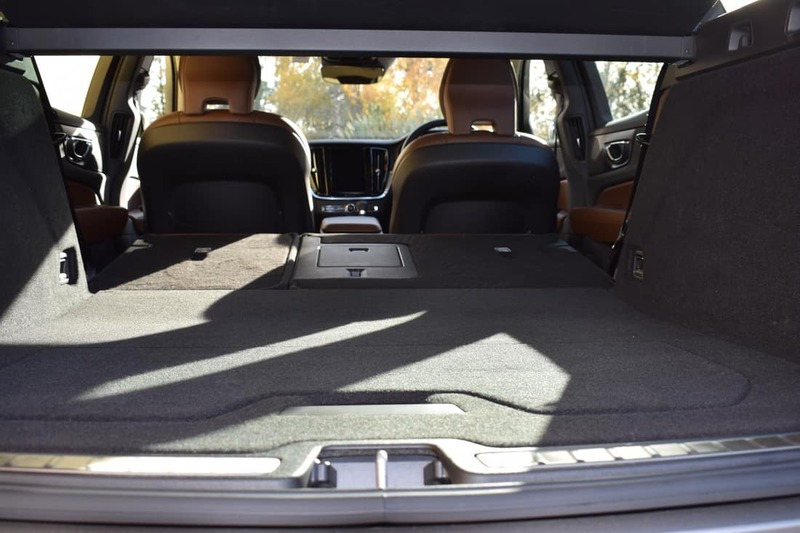 The V60 introduces a new standard to the mid-size premium estate segment, with a luxurious interior, increased levels of space, advanced connectivity, plus Volvo Cars’ latest driver support systems and other safety technology. The City Safety with Autobrake technology uses automatic braking and detection systems to assist the driver in avoiding potential collisions, and is the only system on the market to recognise pedestrians, cyclists and large animals. In a world first, City Safety now also engages autobraking to mitigate oncoming collisions. 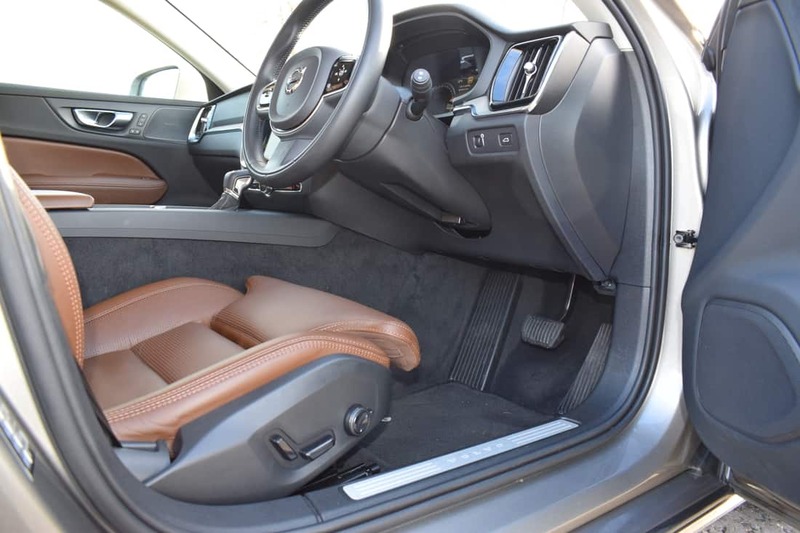 There are three trim levels in the new Volvo V60 – Momentum (offering executive style with a high level of technology), R-Design (sporty looks with dynamic driving ability) and Inscription (beautifully crafted, modern Swedish luxury). 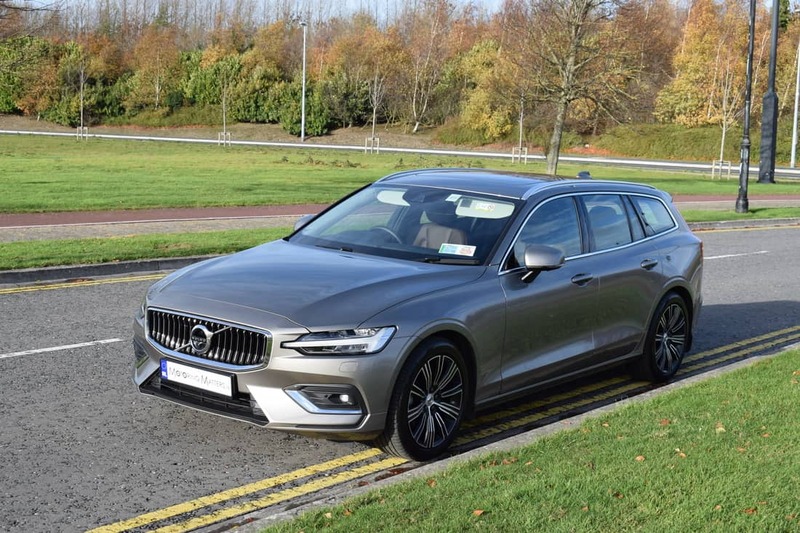 In Ireland, the new V60 is only available with a choice of two 2.0-litre turbo-diesel engines for now – a ‘D3’ with 150bhp and a ‘D4’ with 190bhp, while manual or automatic gearboxes are available with both engines. 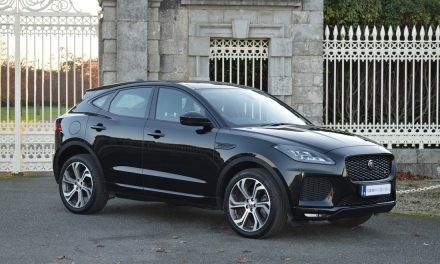 Standard specification across the range is hugely impressive, with even the entry-level Momentum trim including a multi-function & leather-bound 3-spoke steering wheel, cruise control, keyless start, LED headlights with Active High Beam and daytime-running lights, power-operated tailgate, roof rails, rear park assist, 17” alloy wheels, tyre pressure monitoring system, electronic climate control, 12.3” Active TFT crystal driver’s information display, leather upholstery, Volvo On-Call, DAB radio, Bluetooth, Sensus Navigation with European mapping, traffic information and lifetime annual map updates, along with an unrivalled array of safety and security features. 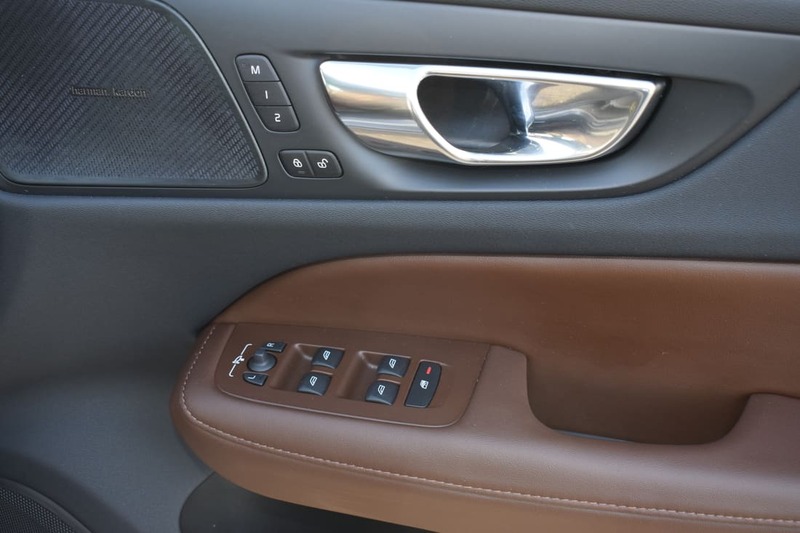 My test car was a new Volvo V60 D4 Inscription Automatic and was finished in stunning Pebble Grey metallic paint with Maroon Brown leather interior for maximum impact. 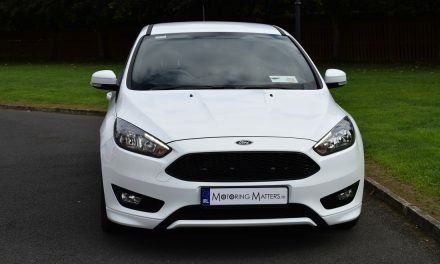 In addition to the Momentum specification, the Inscription model includes features such as Nappa soft perforated leather, multi-colour theatre lighting, powered driver and passenger seats with memory function, 4-way lumbar support, silver roof rails, chrome window surround, front LED fog-lights, parking assistance front & rear and an auto-dimming interior mirror. The ‘D4’ engine in my test car produces 190bhp and a hefty 400Nm of torque for effortless acceleration. The 0-100km/h sprint can be completed in just 7.9-seconds, with a top-speed of 220km/h possible (where permitted). Volvo claims fuel consumption as low as 4.5-litres is possible for every 100km driven on an extra-urban driving cycle, while I achieved a, truly impressive, 5.6-l/100km during my time with the car, on a combined driving cycle. 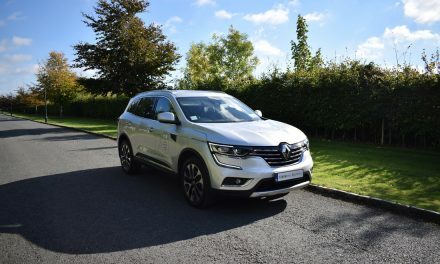 Annual road tax ranges between €200 and €270 depending on the engine and transmission chosen. On the road, the new V60 handles with poise and precision thanks to the cars direct steering and excellent driving dynamics, while the car soaks up uneven road surfaces with ease. 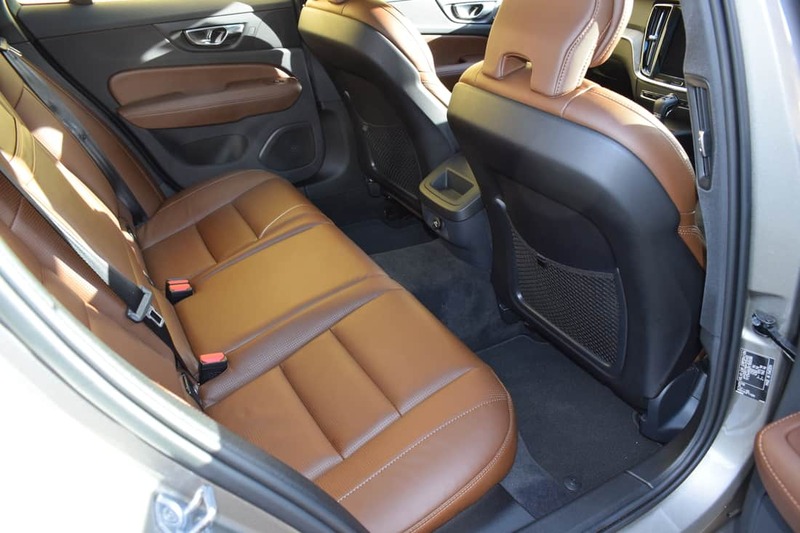 The inside of the car is a relatively quiet place to be, with minimal amounts of road and wind noise audible within the cabin, while the smooth four-cylinder diesel engine is one of the quietest around. The new V60 is a handsome car, very similar to the bigger V90 in terms of proportion but 180mm shorter and with enough detail differences to avoid any confusion on the road. The now familiar ‘Thor’s Hammer’ front LED lights and wraparound tail-lights are a pure Volvo trademark and are very well integrated into the design of the new V60. Beneath that refined, handsome exterior sits the same Scalable Product Architecture (SPA) that underpins all of Volvo’s larger models. However, the new V60 is bigger in terms of total length and wheelbase than the XC60 SUV. It measures 4761mm overall and 2872mm between the front and rear axles, next to the XC60’s respective figures of 4688mm and 2865mm. It’s longer than rival offerings from BMW, Mercedes-Benz and Audi too. As with other recent Volvo models, the interior takes a refreshingly different approach to rivals. The quality of the materials used is exceptionally good, while the design is all about Scandinavian tranquility and serenity. Cabin ergonomics are superb, with many of the car’s functions controlled via the large touchscreen in the centre of the dash. 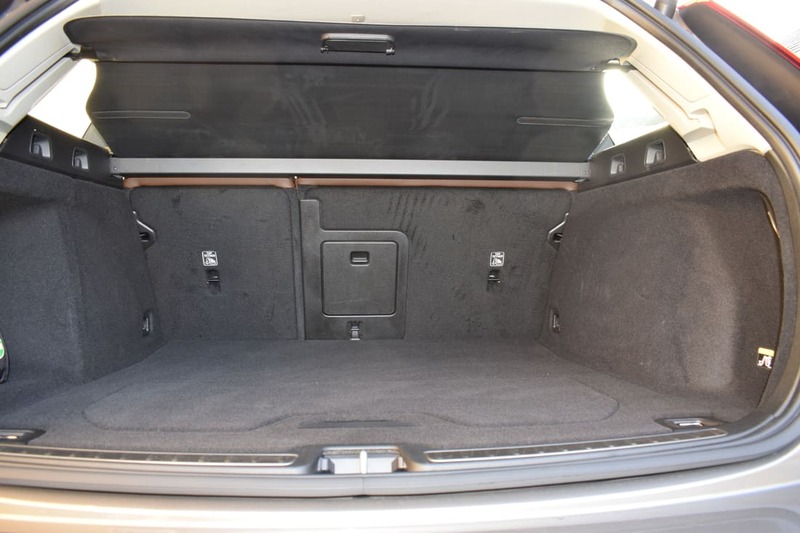 The new V60’s useful 529-litre boot (rising to 1,441 litres with the rear seats folded flat – a process that couldn’t be easier) is bigger than any of its German rivals, while knee room in the back is also claimed to be best-in-class. Technology is a strong point of the new V60. 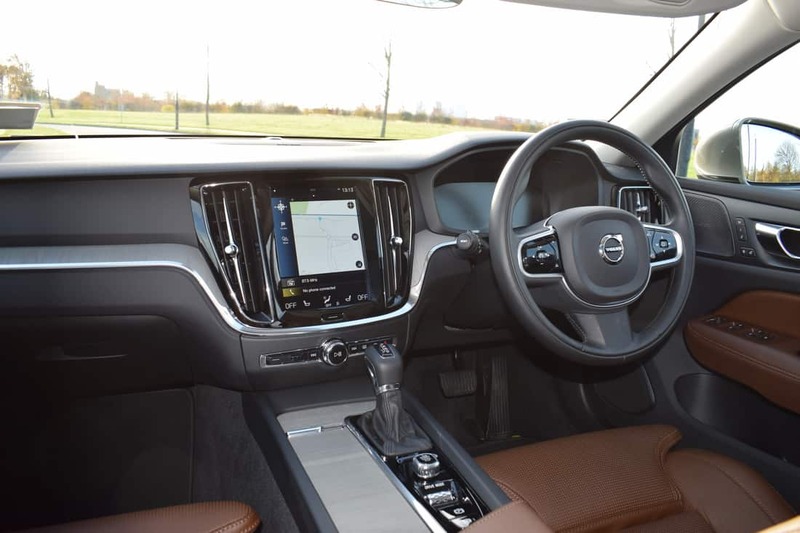 As well as the standard 9.3-inch portrait touchscreen that dominates the centre of the dash, there’s a digital instrument display, all the latest smartphone integration, a raft of impressive safety kit, and Volvo’s useful Pilot Assist semi-autonomous driving system – updated for the new V60. 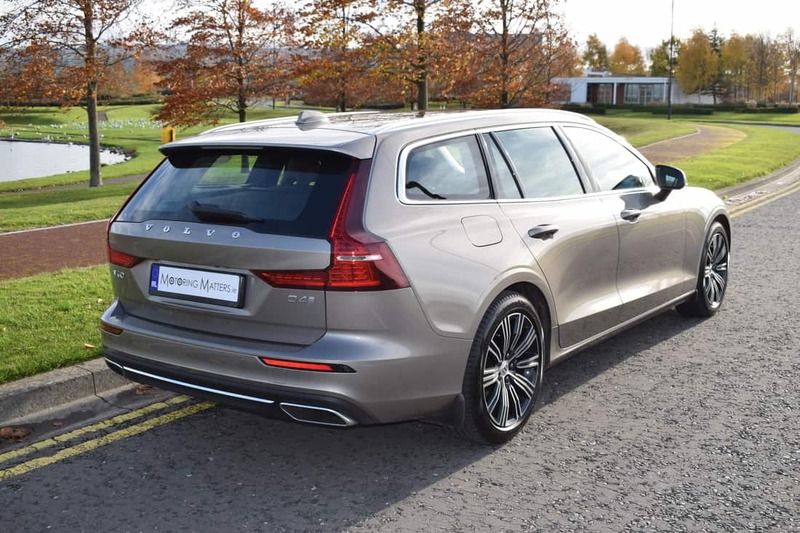 As with other cars in the Volvo range, optional ‘packs’ are available for the new V60 – including the Winter Pack, Xenium Pack, Versatility Pack and High Performance Pro Pack that were fitted to my test car. 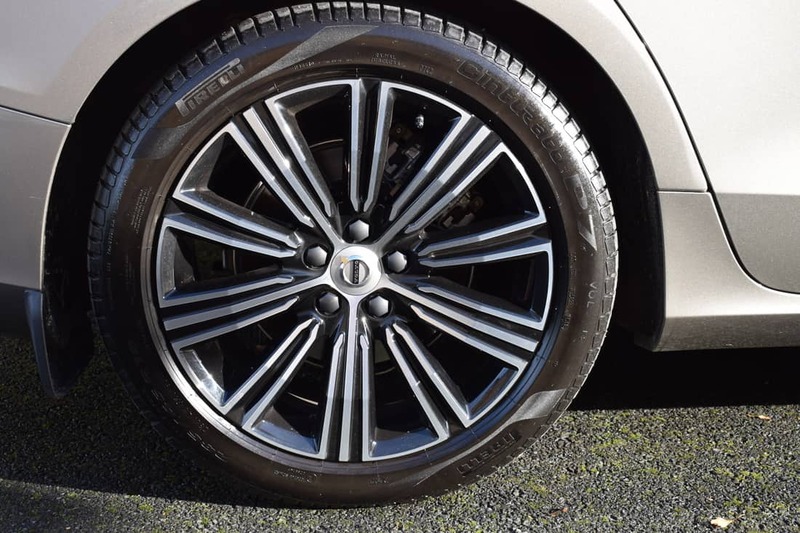 As a result, it is possible to build the new V60 to the exact specification of each customer, thereby allowing for the ultimate in personalisation. 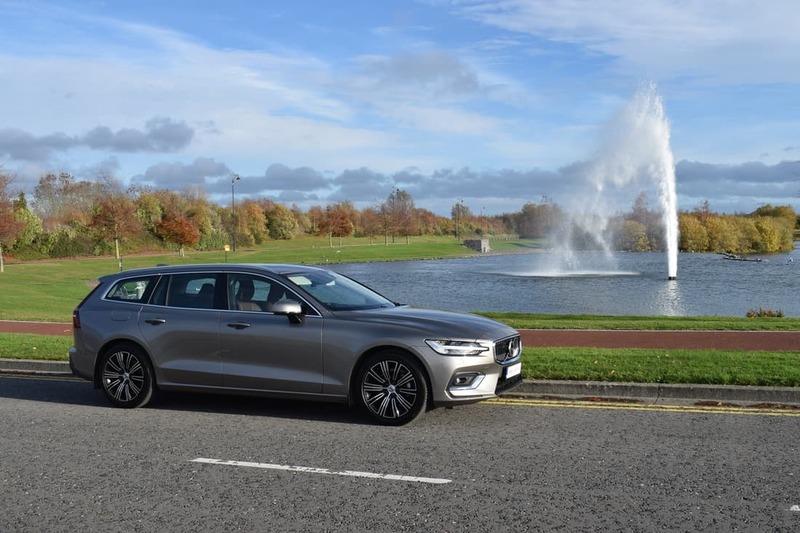 The fact that the new Volvo V60 looks as good as it does, offers surprising levels of dynamic ability and has a genuinely desirable and spacious interior only adds to its broad appeal, and is sure to be another huge sales success for Volvo. Prices for the new V60 start at €40,750 (ex-works), while my test car (including options) is priced at €55,995 (ex-works). Visit www.volvo.com for further information. NextEXEMPLAR Valet Service At Dublin Airport – ‘EXEMPLARY SERVICE’.